CSBG Scholarship Program - Applications Now Available! 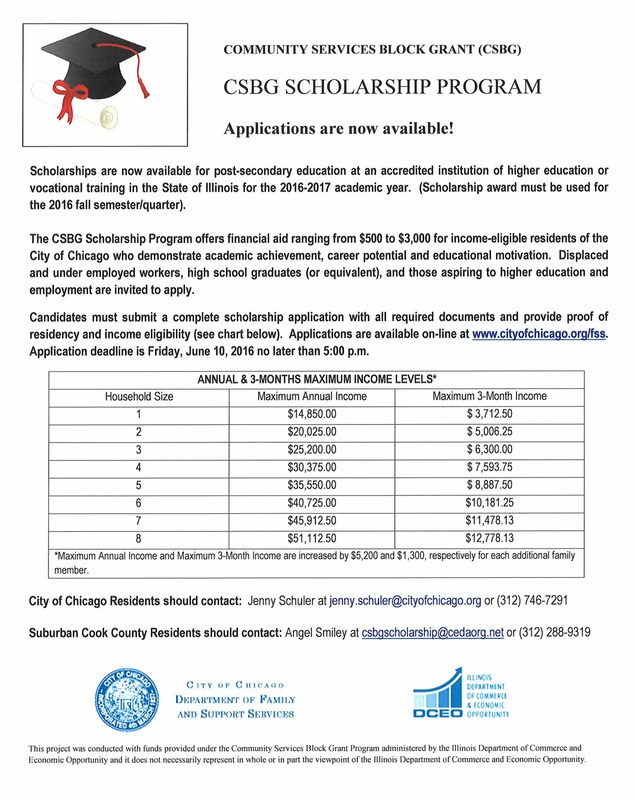 The Community Services Block Grant (CSBG) Scholarships are now available for post-secondary education at an accredited institution of higher education or vocational training in the State of Illinois for the 2016-2017 academic year. Application Deadline is Friday, June 10, 2016, no later than 5:00 p.m.